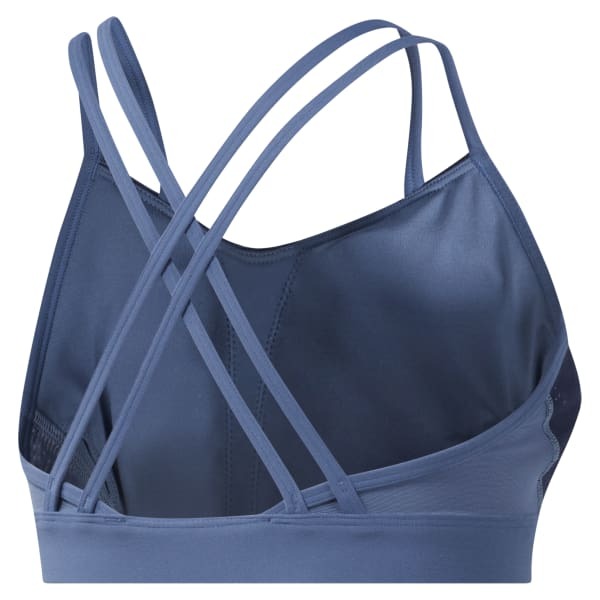 A strappy silhouette that's designed for medium-impact activities. Elastic crisscross straps stay in place and move with you, while the Lux spacer provides modesty, lift and support. Removable pads give even more shape and coverage. Speedwick technology and mesh rear panels provide moisture management and breathability. Removable pads give customizable coverage.